Supergirl is still looking for answers at the DEO, but Hank Henshaw cannot reveal classified files that may assist her. All discussions are put on hold, when Facet claims the DEO's screens, and Rampage is released to cause havoc once more. Elsewhere, an unsuspecting Dr Danvers answers her door, only to be knocked to her feet when Facet appears, speaking cryptically and ominously. Story - 3: The first slow installment after a steady roll-out. 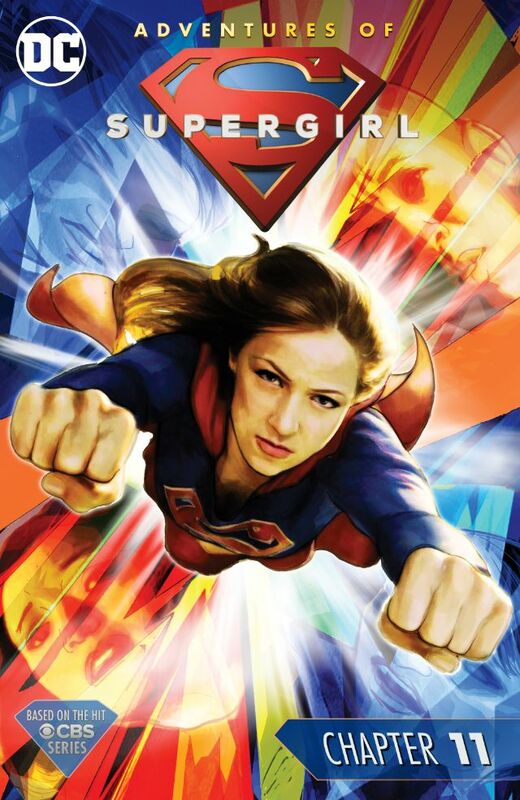 We spent enough time with Supergirl searching for answers. She now needs to find them or not, but the problem of Facet needs to be solved and quickly. Henshaw's refusal to open classified files also seems foolish, particularly if they're opened to reveal nothing deadly or dangerous, but merely a complication for the characters' social interaction. Contrary to popular belief, high frequencies don't and shouldn't bother characters with super-hearing. If that was the case, they'd need isolation, as the frequencies that are apparent every day would be enough to stagger them. Furthermore, Martian Manhunter has super-hearing as well. He looked just fine dealing with it. Art - 3: Something about the issue reminds me of Love and Rockets. The poses and expressions before the action takes place. My jury is still out on that type of line-work.